Take the M4 into London and continue to the end of the motorway. Continue onto the A4. Turn right onto the A3220 "Warwick Road", and right again onto the A3218 "Old Brompton Road". The Cemetery entrance will be located on the left hand side. The cemetery is next door to Chelsea Football Club. 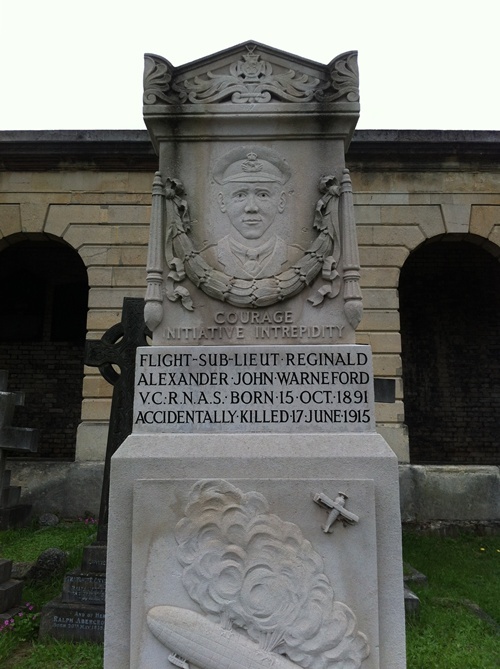 Flight Sub-Lieutenant Reginald Alexander John Warneford, V. C.
Royal Naval Air Service, died 17th June 1915, aged 23. 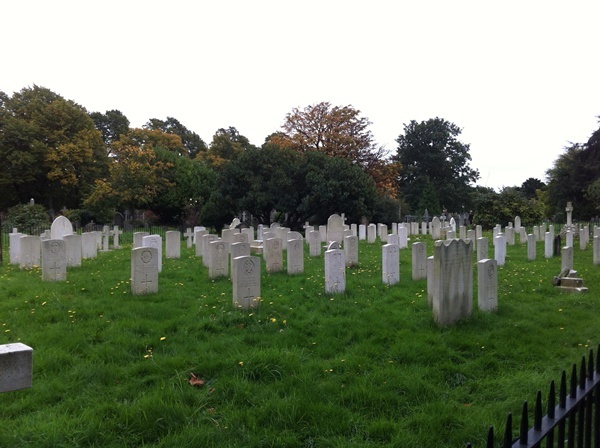 (The grave is on the left of the main path through the cemetery when coming from West Brompton). 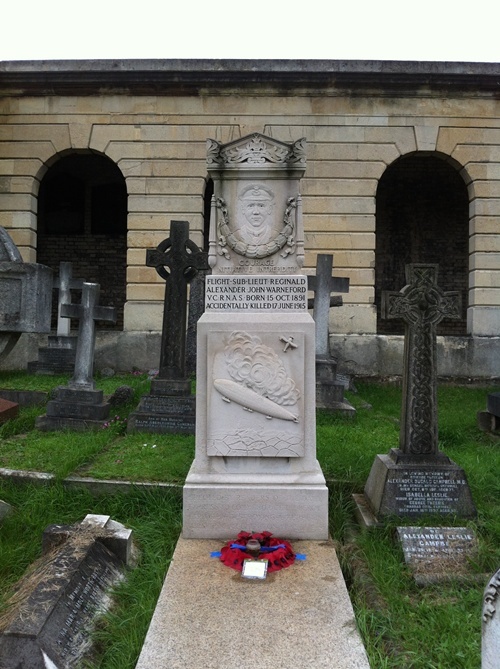 Son of Mrs. M. P. Corkery (formerly Warneford), of Kerry House, Comeytrowe, Taunton, Somerset, and the late R. Warneford. 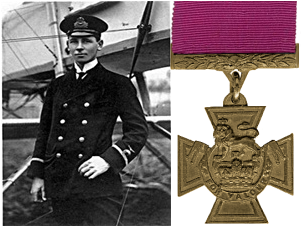 Citation: An extract from The London Gazette, dated 11th June, 1915, records the following:-"For most conspicuous bravery on the 7th June, 1915, when he attacked and, singlehanded, completely destroyed a Zeppelin in mid-air. This brilliant achievement was accomplished after chasing the Zeppelin from the coast of Flanders to Ghent, where he succeeded in dropping his bombs on to it from a height of only one or two hundred feet. One of these bombs caused a terrific explosion which set the Zeppelin on fire from end to end, but at the same time overturned his Aeroplane and stopped the engine. In spite of this he succeeded in landing safely in hostile country, and after 15 minutes started his engine and returned to his base without damage."